Get Quick Cash With A Bad Credit Car Loan From Fast Cash Canada! Have an Emergency? Need Financial help? Don’t worry! By using the title of your vehicle you can get approval for a car title loan quickly and get the money in less time than you might expect. Do you have the bad credit score and need urgent money? 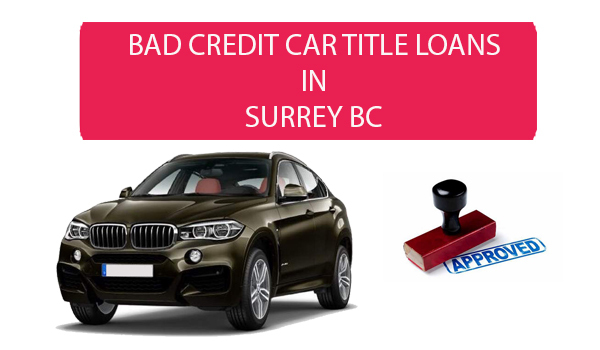 Are you experiencing problems getting a loan from the bank, then try applying for a bad credit car loan with Fast Cash Canada. Fast Canada Cash is one of the leading car title loan companies in Canada. Bad credit car loans by Fast Canada Cash are the best way to get the instant cash at the time of emergency. The loan amount you get is totally based on the value and condition of your vehicle. You don’t have to worry even if you have a bad credit score. Unlike other loan providers, Fast Canada Cash will provide the loan even if you have the bad credit score or no score at all. Our customer’s well-being and their happiness is our first priority! We work hard to help make your financial problems disappear! ● Quick and Simple approval process. ● You get the cash on the same day of loan approval. ● You get to keep driving your car during the loan period. Bad credit car loans provided by Fast Canada Cash are the best. You can get the money you desire with our quick and easy loan process. Call us 1-(888)-511-6791 or apply online today!